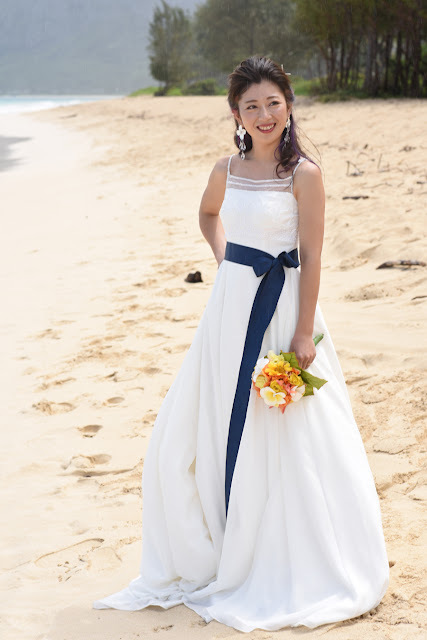 Japanese Bride Chinatsu, nice pose in front of Waimanalo's "Rabbit Island". Do you like her blue ribbon? Did the Bride have purple hair? I don't remember whether I had noticed. That's what I get for taking so long to update my photo gallery.